Nothing against salad. It’s just that when thinking of a veggie side, it’s often the first thing that comes to mind, and sometimes breaking out of the routine is just what you need to get inspired to eat more veggies. So try these three easy veggie sides to freshen up your dinner table, and maybe serve them alongside that awesome Cobb salad or Greek salad so you can add even more veggies to your plate. 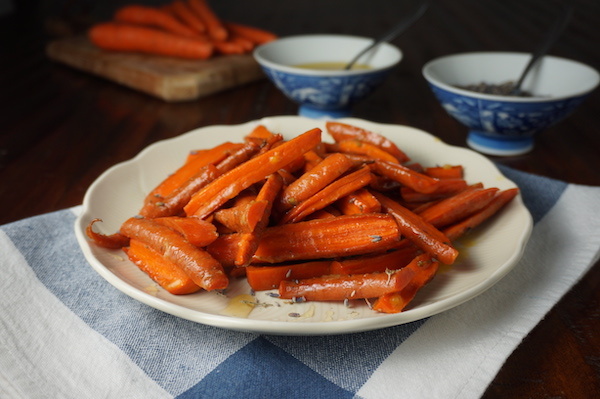 These are so simple to make, but the combination transforms carrots to candy. If you’re asked to bring a veggie side to a dinner party, I highly recommend bringing this. Whip together the butter, honey and lavender in a food processor or blender. Add carrots to a sheet pan. Dollop honey butter on top. After five minutes, toss the carrots in the butter (it should be more melted by now). Roast for 10-15 minutes more, until carrots are tender but not mushy. Add salt and pepper, and, if desired, add more honey and crushed lavender. It takes only 20 minutes start-to-finish, with only 10 minutes of active prep. 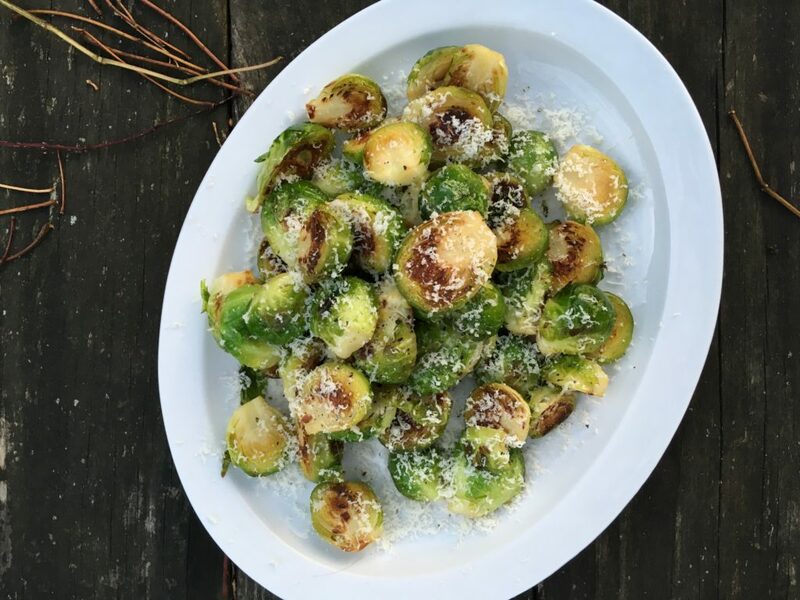 Brussels sprouts are on special from January 18-24 while supplies last. You probably already have all the other ingredients in your home (Parmesan cheese, olive oil, salt and pepper)! 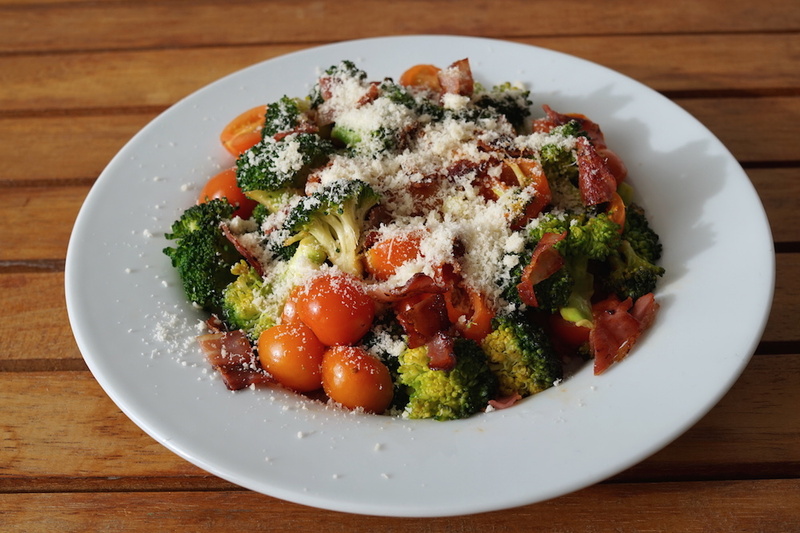 This is an unusual but delicious combination of flavors, chock full of healthy broccoli and cherry tomatoes. If that side of steamed broccoli needs some re-imagining, this is just the thing to add some pizzaz. Start to finish it takes 20 minutes… and broccoli is on special!